Address: Room DE606, Department of Electronic and Information Engineering, Hong Kong Polytechnic University, Hung Hom, Kowloon, Hong Kong. Dr Yui-Lam Chan received the BEng with a First Class Honours degree and the Ph.D degree from The Hong Kong Polytechnic University in 1993 and 1997, respectively. During his studies, he was the recipients of more than 10 famous prizes, scholarships and fellowships for his outstanding academic achievement, such as being the Champion in Varsity Competition in Electronic Design, the Sir Edward Youde Memorial Fellowship, and the Croucher Foundation Scholarships. Dr Chan joined the Hong Kong Polytechnic University in 1997, and is now an Associate Professor in the Department of Electronic and Information Engineering. He has achieved an impressive record of having 5 successive UGC Competitive bids starting from 2003. He received both of the Faculty Merit Award in Teaching (Team) and the Faculty of Engineering Research Grant Achievement Award in 2005. Dr Chan is also actively involved in professional activities. 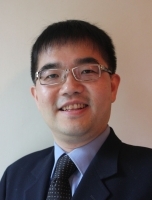 In particular, Dr Chan serves as an Associate Editor of IEEE Transactions on Image Processing. In addition, he serves as a reviewer, an Area Chair and a Session Chairman for many international journals/conferences. He was the Secretary of the 2010 IEEE International Conference on Image Processing (ICIP2010), which is the IEEE sponsored flagship conference in the image processing area. He was also the Special Sessions Co-Chairs and the Publicity Co-Chairs of 2015 Asia-Pacific Signal and Information Processing Association Annual Summit and Conference (APSIPA ASC 2015), the Technical Program Co-Chairs of 2014 International Conference on Digital Signal Processing (DSP2014), the Publicity Chair of 2013 Constantinides International Workshop on Signal Processing (CIWSP2013), the Local Arrangement Co-Chairs of 2012 International Conference on Signal Processing, Communications and Computing (ICSPCC2012), and the Registration Chair of 2004 International Symposium on Intelligent Multimedia, Video and Speech Processing (ISIMP2004). Besides, He has published over 90 research papers in various international journals and conferences. Many of which appears in the world’s top-level international journals, such as IEEE Transactions on Image Processing and IEEE Transactions on Circuits and Systems for Video Technology. One of his papers “New Adaptive Pixel Decimation for Block Motion Vector Estimation” has been ranked as the most cited paper in IEEE Transactions on Circuits and System for Video Technology since 1990. His research and technical interests include multimedia technologies, signal processing, image and video compression, video streaming, video transcoding, video conferencing, digital TV/HDTV, 3DTV/3DV, multi-view video coding, future video coding standards, error-resilient coding, and digital VCR.